Greetings, I AM Yahweh. Welcome, welcome my beloved children of every ray, of every color, of every pathway, of every reality. You do not beckon to me often and although I am ever present in your life, in your field, within this universe, I do not step forward very often unless you request my presence, for I want none to believe or think that I in any way wish to interfere. Quite the contrary, for I have stood back for eons and watched with trust and awe and faith and yes, my beloved ones, great Joy. I have watched your unfoldment, your evolution, your coming forward. I have watched the progression of both you and the collective, particularly those who inhabit the planet of Earth, of Terra Nova, at this time, because it is a time of great change and it is a time of the completion. We have talked of this before and this era of completion began many years ago. But unless it is within the same week, many of you do not realize that you are in a process of completion, as is Gaia, as are we, in this unfoldment, and the renewal of the plan of our beloved Mother upon this planet. But that is not what I wish to speak to you about this day, what I wish to speak to you and to remind you of and to re-instill within your heart is my Golden Flame; and it is the Golden Flame of Divine Masculine. It is the third point in your precious tri-flame. And you say to me “yes, oh yes, I forgot about that, thank you Father”. I wish to speak to you about this Golden Flame, this gift that I bestow upon you so freely and lovingly and yes, in some ways, this flame of completion, for yes you have the Blue Diamond and the Pink, but the Gold is integral too. Without it you are lopsided, you are incomplete. And it is a time upon Gaia when not only do you wish to be firmly grounded and anchored within her being, you do most certainly do not wish to walk around lopsided. The Golden Flame is the gift of my essence to you. It is not something that I have created in my infinite universe that is external to me. Just like the Blue Diamond, it is my core and my essence that I gift to you today and that I re-ignite within you again today. Yes, it is the energy of the Divine Masculine, the balancer, but it is also the flame of infinite knowledge, of infinite creation, of infinite understanding of the creation codes. It is the Golden Flame of inspiration and my beloved ones it is the Golden Flame of action. 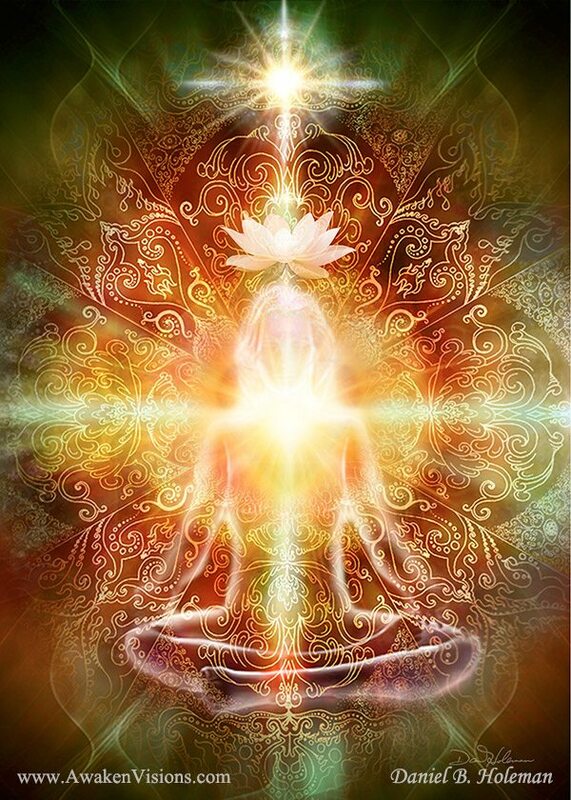 Most of the time this Golden Flame, this energy that I instill so brightly within each of your hearts, is used internally. It is not something that you are extending out into the universe except under very particular circumstances. So you are using it within and you are allowing it to burn brightly to allow you to see what energies you have need to bring forward to create exactly what you want and what you desire. Every day the Mother and I sit here and we hear you and we wonder at your plea to us because you say “Why have things not happened? Why has this not transpired? Why does this not come forth?” And frankly we look at each other and we think “Why are they not using the gifts of creation that they have been given?” We have entered into a very equal partnership. It is our family, and as our beloved child, whether you are 90 or 9, we have given you everything. And so the Golden Flame is to remind you of that; it is not that you need to seek in any way externally from yourself. The Golden Flame is a torch that can show you the way back to my warehouse of heaven, which very few of you have ever visited since our first encounter. And again I wonder why, when I have opened the doors and I have invited you in to come and to take freely everything? Not only what your heart desires but what you believe you need for the completion of this journey, for the completion of your role upon Terra Gaia, the completion of what you wish to do, not only in terms of your mission but for the sheer fun of it. You can as easily create a bicycle or a Ferris wheel; it does not need to be practical, in fact quite the contrary. When you sit, whether it is in quiet contemplation or in meditation, and you say to me “What do I need to know? What do I need to know to heal this situation, to go forward to address it, just to live my life?” Use the Golden Flame. See yourself within your heart encompassed in my Golden Flame; the knowledge is there and next to the knowledge is the inspiration that will spur you on, that will inspire you then to move into the action because dear hearts now is a time of action. You have had the time of clearing, you have had the time of growing your energy field, you have had the time of learning, of expansion, and yes, magnificently holding the energies that we have sent to this earth plane. But now you have need to move, with everything you know and have learned and have done, into the time of action. And action may simply be claiming your place within the Shift. Since the very first day this Council has addressed you, we have addressed you as pathfinders and showers of the way. This is not simply a phrase or an accolade; it is information about who you are. But how my beloved ones can you be a way shower or a pathfinder if you are not moving into the action? And yes, let me be clear about this, the first actions are internal; you will not walk the street carrying my Golden Flame, it is internal and it will show you the way. I will show you the way, I will lift you up and position you, I will point, I will back you up, I will give you the resources you need. But I will not do it for you because that is not the partnership, that is not the contract, that is not the agreement. Will I lift you up if you are placing yourself in harms way, if you are facing the wrong way? Yes I will, always. But it is time for you in this time of completion to fully enjoy and claim what you are capable of, as teacher, as healer, as friend, as mother, as brother. We are not just talking about what you do in the so-called world of work, for that is such a small percentage of who you are. Begin within, and when the action is decided upon, let it emerge to your outer world. And it may just emerge as a smile, as looking someone directly in the eyes and smiling and sending them the two fingers to the heart in the grocery store; and being completely honest and forthright when someone says “Well, what do you think?” Too often there is an ‘I don’t know’ or the quiet conversation inside says ‘if I told you what I really think you would run the other way’. Be brave, you have the golden courage, you have the Mighty Ones always in attendance. Bring forth your Divine Masculine, not the bully, not the braggart, but the leader, the shower of the way. I have given you and the Mother has given you and we have invited you home to the 13th Octave forever, and it is from this place that you ascend. So come and join with us every day in this place of divine union and from there, anchored firmly in the 13th, float back down to the 7th, the 5th if you must, and then reach into the 3rd, but do not pretend with this bright tri-flame that you live there anymore.